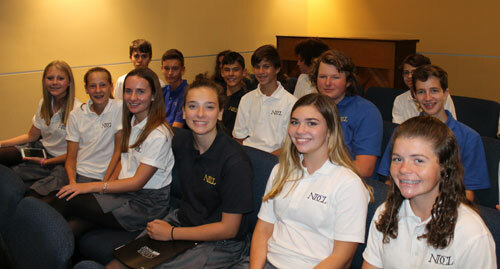 NDCL offers academic scholarships to students who earn top scores on its placement test. The Distinguished Scholar Award is a four-year, renewable, academic and leadership based scholarships. Awards are based on the top incoming freshman scores on the NDCL placement tests given in the fall. Scholarships are four-year renewable awards and require maintaining a grade point average of 3.50 at NDCL. Students are not required to complete an NDCL tuition assistance application to be considered for this award.